Friends of Crow Wood Park are holding a FREE event, the Great War Exhibition, commemorating the end of WW1 and the life in the area at the time. The official opening by the Mayor of Calderdale will be on Saturday 27 October, 11:00am. 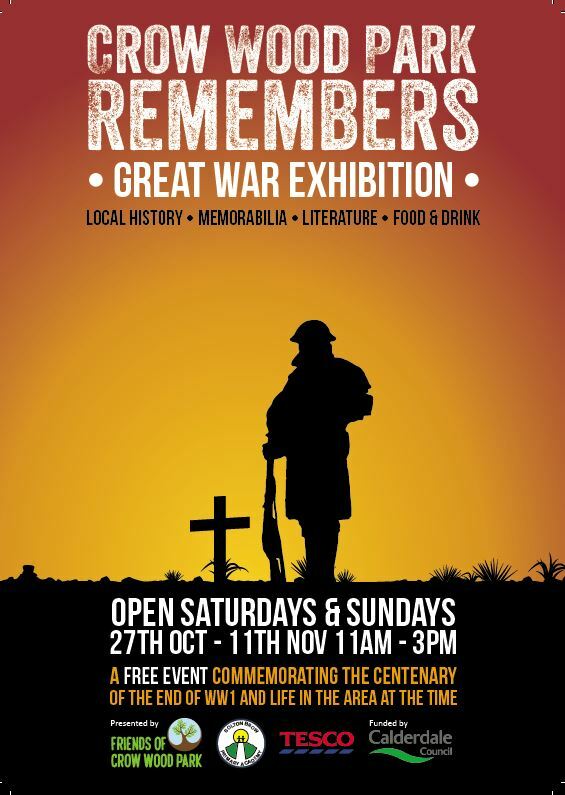 Subsequently the exhibition will be on Saturdays and Sundays, 11:00am-3:00pm until Sunday 11 November when there will also be a Service of Remembrance at 10:45am at the Memorial Gate. You can enjoy learning about some of the local soldiers, see memorabilia of the time and learn that Crow Wood Park used to have it’s own hospital! For up to date information call Bob Galtrey on 07718 261007.